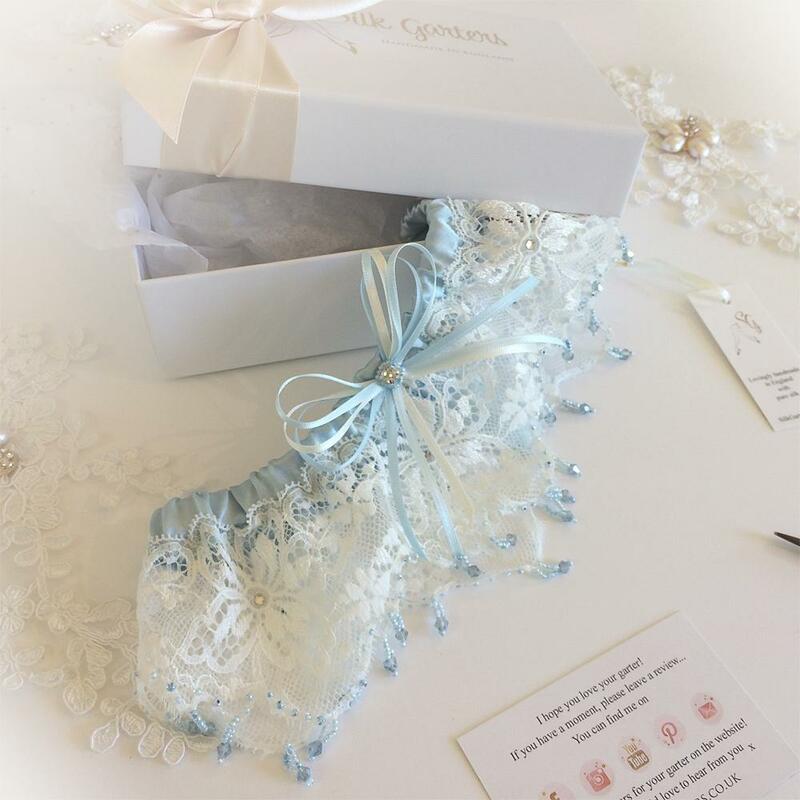 A dream of a brides garter for your dream wedding! Pale blue silk trimmed with finest ivory Calais Lace. The lace is in a floral design and has a shaped edging, embellished by hand with hundreds of tiny blue beads and crystal droplets. For the bride having a designer wedding this garter is the finishing touch! All Hand beaded in England.